What a blessing to celebrate a 90th birthday! 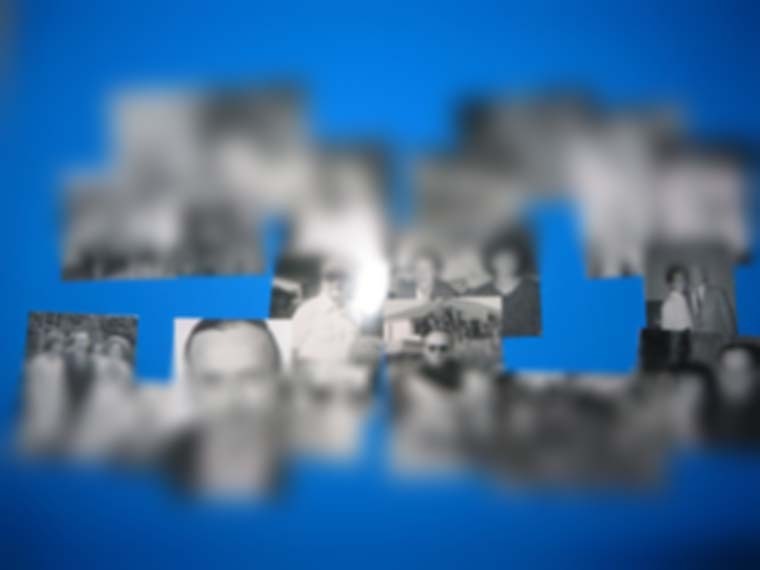 It’s fun for the person being honored to review the photos and reminisce and for his or her friends to see that person at various stages of life. And it’s definitely a conversation starter! 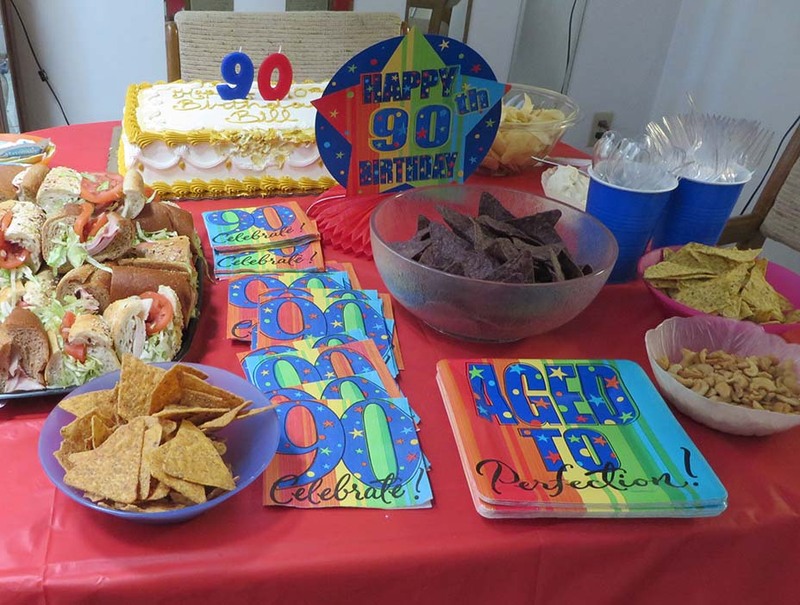 2) You can also find all types of centerpieces, balloons, plates and napkins with 90 on them at party stores (or online). Plan ahead, though, because the dollar store and Walmart don’t stock them! 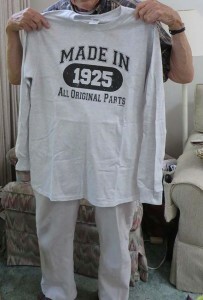 3) Depending on the person’s sense of humor, you can find some great quotes online about being 90 years old. If you find some you think everyone will get a kick out of, print them on pieces of thick cardstock, fold them in half, and position them around the party room for guests to read and chuckle about. 90?! I Demand a Recount! I may be 90 but I have the stamina of an 80 year old! 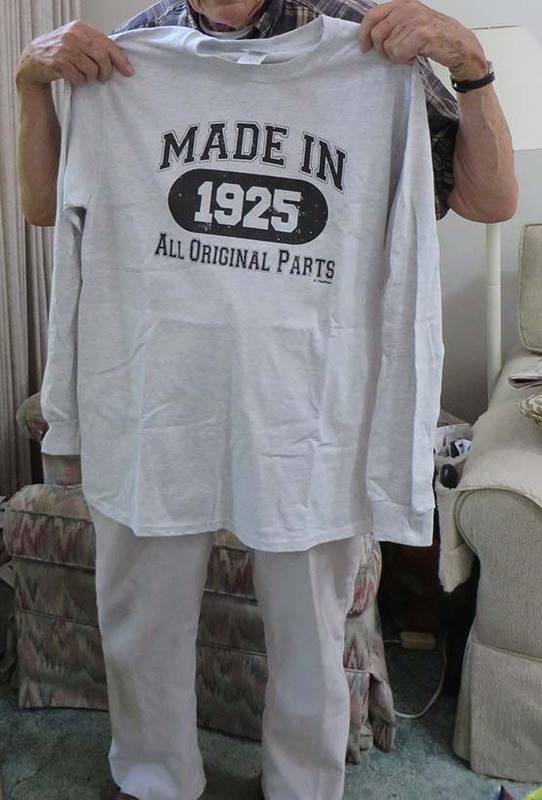 It’s all fun and games til someone turns 90! Five-year sentence-a-day diary. This is a positive, optimist gift — and wouldn’t it be fun to read what a 90-something writes every day? Golf ball pickup. This gizmo hooks on the end of a putter and allows the user to practice his or her putt, then pick up the ball without having to bend over. Amazon Echo digital household assistant, music player, list-maker, and question-answerer. This is an amazing device that can provide hours of entertainment for the entire family! The user doesn’t have to know how to use a smartphone, computer or the Internet, yet can get the same information contained there by simply asking. Be sure to take a lot of photos at the event and have a great time! 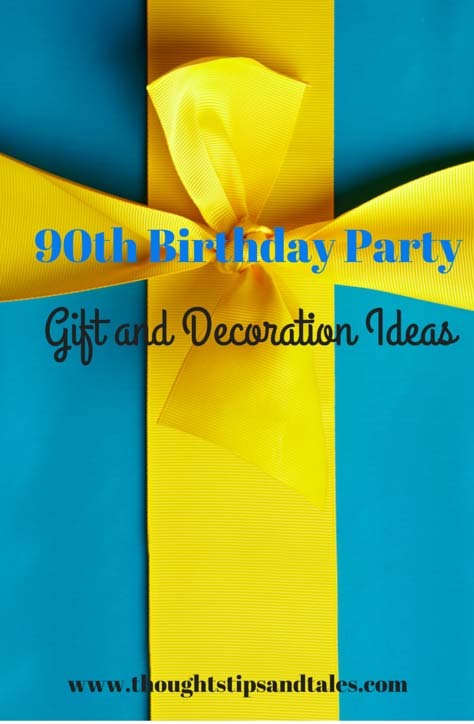 This entry was posted in 90th birthday, 90th birthday gifts, 90th birthday party decorations, amazon echo, five year journal, gift ideas for 90th birthday, how to celebrate a 90th birthday, party ideas for 90th birthday, senior birthday, sentence a day journal and tagged 90 years old, 90th birthday, 90th birthday party, 90th birthday party decorations, 90ths birthday party gifts, amazon echo, decorations for 90th birthday party, five year journal, gifts for 90th birthday, golf ball pickup, how to celebrate a 90th birthday, senior birthday, sentence a day journal. Bookmark the permalink. I agree about the fun being the thing! Thanks for stopping by and commenting.